Every Daddy and Mommy’s hope is of course for the Little One to be healthy always. However, although your Little Ones was guarded in such a way, there is a time that your Little One falls sick. One of the most vulnerable conditions experienced by children under 5 years old is diarrhea. Within a year, your Little One can experience diarrhea 3-6 times. Diarrhea is a condition characterized by a liquid bowel movement, frequency more than 3 times a day for at least 3 consecutive days. Generally, diarrhea results from consumption of foods and beverages contaminated with bacteria, viruses, or parasites. For your Little One under 5 years, the most common cause of diarrhea is rotavirus. During diarrhea, your Little One may also experience other symptoms such as nausea, vomiting, and abdominal pain as well as fever. He/she will become fussy and more thirsty than usual. Things to avoid when your Little One is having a diarrhea is the occurrence of dehydration. Signs of dehydration on your Little One, are as follows he/she looks fussy, appears thirsty, has sunken eyes, lets out only a little tears when crying, and has reduced frequency of urination. Severe dehydration can lead to decreased consciousness, and death. When having a diarrhea, your Little One will lose a lot of fluids and electrolytes. Therefore, Mommy must provide for her fluid needs. For the Little One under six months, breastfeed with breast milk whenever she wants. No need to be limited. For ages over six months, give boiled water, oralit solution, or vegetable soup as a liquid replacement. If your Little One vomits or has liquid bowel movements, give drink as much as the fluid that comes out, usually about 50-100 ml every time your Little One poops. Give it gradually and slowly using a spoon. When having a diarrhea, your Little One can still eat. Mommy can give her a type of food that has been proven to reduce the symptoms of diarrhea, namely "BRAT: Bread, Rice, Applesauce, Toast" ie white bread, white rice, apples, and toast bread. Your Little One can also be given bananas, carrots, also edamame to help the recovery period. Avoid or limit the provision of vegetables such as cauliflower, broccoli, and green vegetables. If given, gas production in the gastrointestinal tract may increase and worsen the condition of your Little One. Provision of antidiarrheal drugs for your Little One should be avoided because it is not proved to be useful for him/her. Antidiarrheal drugs can cause other symptoms such as excessive sleepiness, decreased bowel movement, nausea, and vomiting. With proper management from the beginning, your Little One can avoid the risk of dehydration when having diarrhea. If your Little One is still having diarrhea and the symptoms are getting worse, immediately take him/her to the pediatrician for further treatment. The dream of every parent is to see his or her child grow to become healthy, strong, and also intelligent. Parents do not only observe the physical growth alone, but also the development of their intelligence, particularly during the golden period of 0 to 2 years old. In principle, the provision of nutrition for the Little One is generally the same as the principle of provision of nutrition for adults. 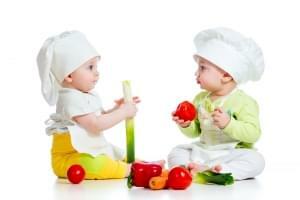 The Little One needs a balanced intake of nutrients between carbohydrates, proteins, fats, vitamins, and minerals. 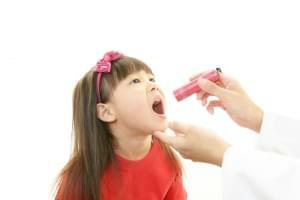 Can Cough Influence Your Little One's Weight? Cough is a frequent complaint, both for adults and Little Ones. Although often underestimated, if there is a persistent coughing, it can make the sufferer to lose weight.